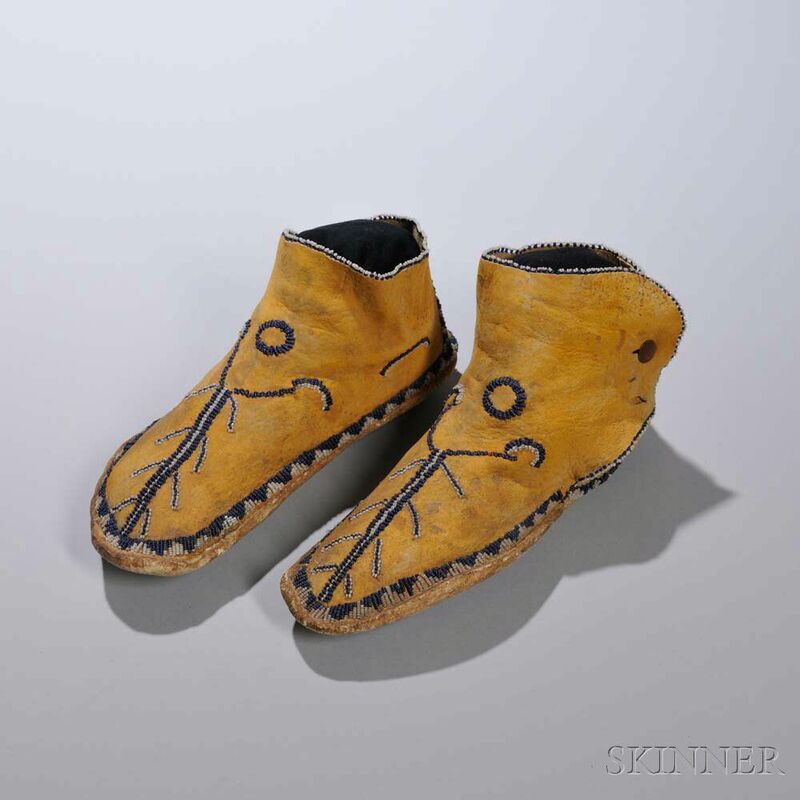 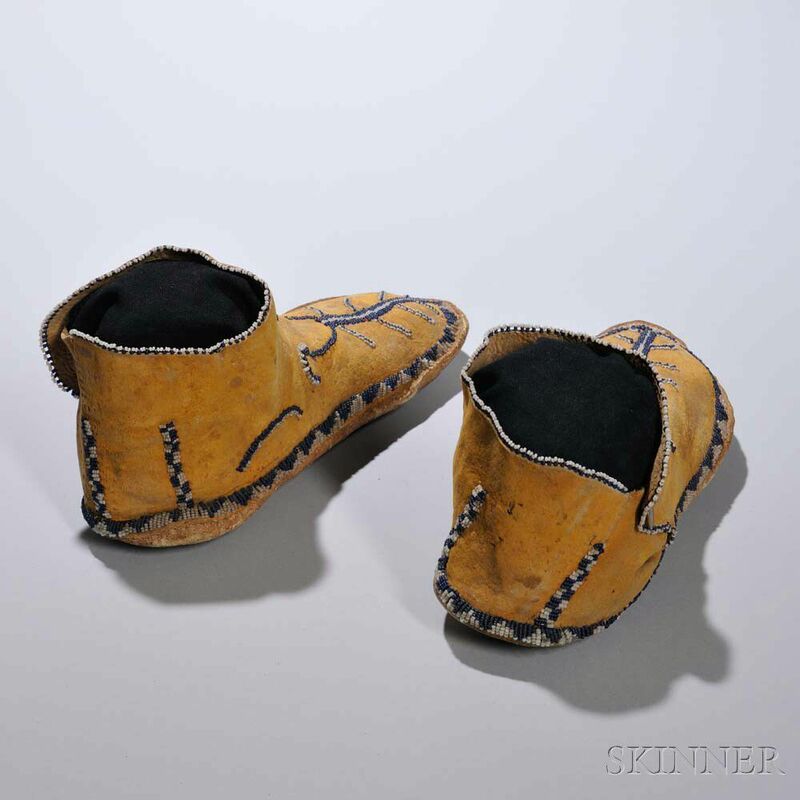 Apache Beaded Hide Man's Moccasins, c. 1870s, with thick rawhide soles, yellow ochre pigment, the vamp with abstract scorpion designs, a circle, and with geometric designs around the foot, bead colors are dark blue and white, two brass buttons remain, lg. 11 in. 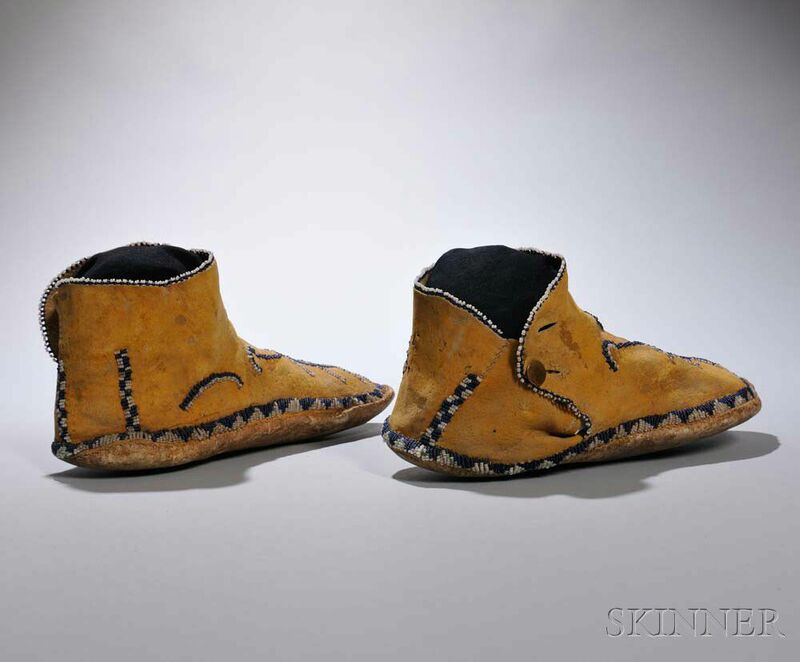 Provenance: Collected by Hugh Sparks (1874-1951), who fought in the Spanish American War. 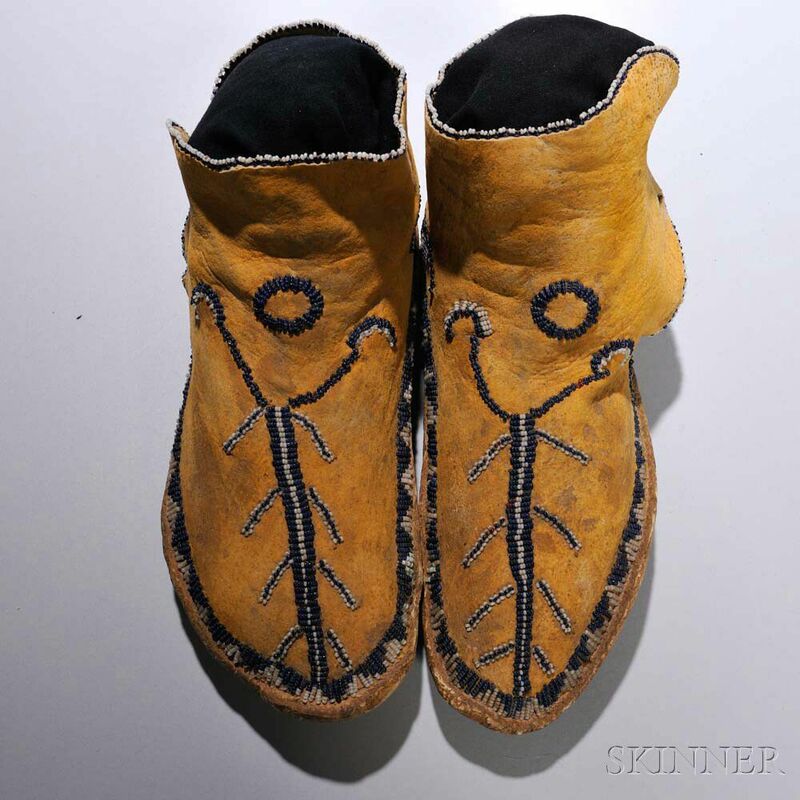 He was First Lieutenant, 31st Infantry, and spent some time in the White Mountain Apache Reservation during his tenure.